Home » Free » qna » Samsung » Samsung GALAXY S6 » smartphone » Era.fm & Hitz.fm "I Want #myGalaxyS6" Contest: 30 units of Samsung Galaxy S6 & 30 units of Galaxy S6 Edge to be given away! 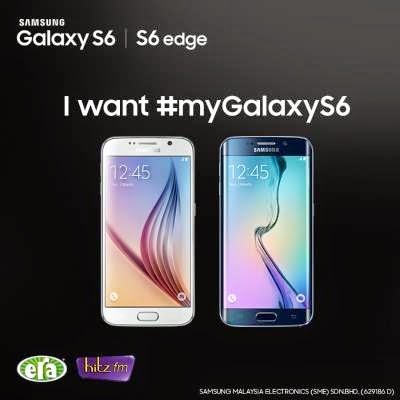 Era.fm & Hitz.fm "I Want #myGalaxyS6" Contest: 30 units of Samsung Galaxy S6 & 30 units of Galaxy S6 Edge to be given away! Follow the Clues to find Mr. S6’s location and identify the answer to the Password Question. Q: What is the name of the next galaxy? When you think he is Mr. S6, say “I want my Galaxy S6” and give him the answer to the Password Question. When you answer correctly, you win the phone*. * Winners will be required to provide full name & IC no and have their photo taken on the spot. Winners will be provided with an official letter from Astro Radio for the collection after the completion of this contest. Visit I Want #myGalaxyS6 contest terms & condition for more details. Memang tipulah kalau sesiapa kata mereka tak suka tengok klip-klip yang kelakar habis macam bloopers Cicakman 3 ni!